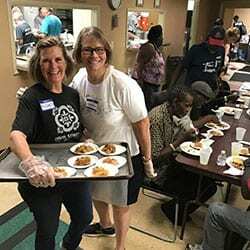 Dunwoody UMC extends its reach into the community through several hands-on mission programs and projects that serve those in need with food, shelter and Christian love. 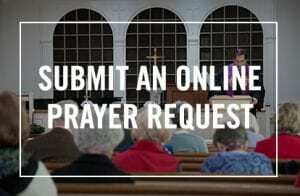 This mission work is open to members and to others in the community who want to provide help and hope. Some are year-round activities while others are one-time events, yet all offer the opportunity to get involved and give back. 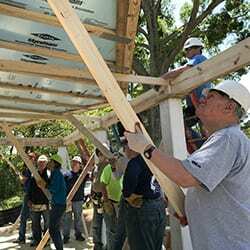 DUMC sponsors a Habitat for Humanity build each year, supported by funds from the Holiday Festival. Spring of 2019 marks the completion our 29th build. 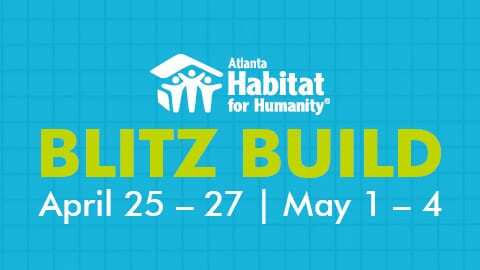 We use a “blitz build” model with hundreds of volunteers working over over five weekdays and two Saturdays to build and dedicate a house to a needy family. No skill is required, and there is a job for everyone. You must be 16 years old to participate. For more information on Habitat for Humanity and how to register, CLICK HERE. DUMC volunteers visit the Atlanta Community Food Bank the second Wednesday of every month to pack food. 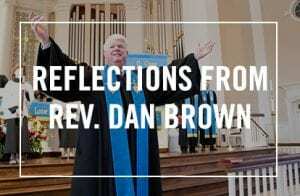 We meet at the church at 8:30 a.m. and are back to the church by 12:15 p.m. Transportation is provided. For more information, contact Alan Shinn at 404-788-7389 or awshinn49@gmail.com. 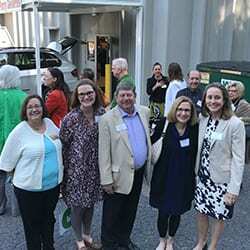 The CAC brings together the Sandy Springs and Dunwoody communities to provide assistance to neighbors through financial support, helping to meet basic food and clothing needs and promoting self-reliance. 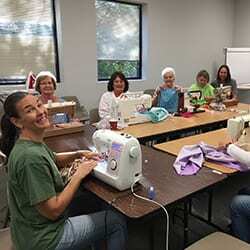 DUMC contributes by donating food, clothing, money and many volunteer hours in a variety of roles. DUMC sponsors a neighborhood school, Hightower Elementary. Volunteers help tutor underprivileged students after school four days a week through the Homework Help Club and in conjunction with Corners Outreach. 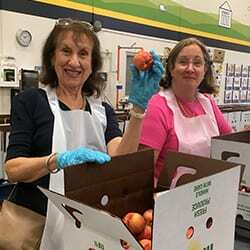 Volunteers also participate in the Backpack Blessings program during the school year by providing weekly, healthy snack bags to be placed in the backpacks of 20-25 children on Friday afternoons, ensuring their nourishment to last throughout the weekend. 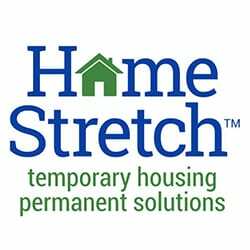 Our church supports HomeStretch and its Transitional Housing program for homeless families. 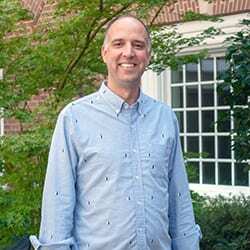 This program helps homeless families move to a state of self-sufficiency and permanent housing while offering them managed support. Volunteers mentor families and help meet their emergency needs. Please contact Transitional Housing Ministry co-chairs Mary Batson and Terry Gemmill with questions. Each Sunday, Trinity Table serves a hot lunch meal to approximately 300 individuals in the Capitol Hill neighborhood. 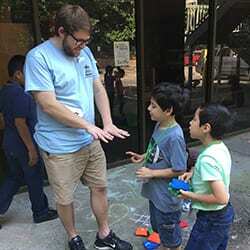 Dunwoody UMC hosts & serves twice a year. It takes about 30 people to physically serve and provide supplies prior to the event. Families are welcome to participate, although children under 13 will be matched with an adult for supervision. Please check the church calendar for the next opportunity to serve. 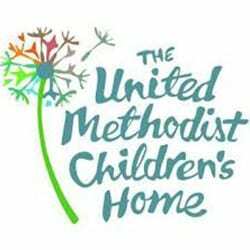 DUMC supports the United Methodist Children’s Home with babysitting, respite care and/or fostering a child. We hold regular information and orientation sessions. Please contact Rosemary Watts for more information or to schedule a session. 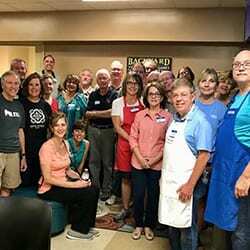 DUMC’s Family Living & Giving circle volunteers regularly at the Women’s Kitchen in Atlanta. Individuals can join the group or serve on their own, with weekly opportunities available Monday through Friday. The kitchen serves more than 20,000 meals annually to homeless and low-income women and children. Contact Mary Millar or Linda Zilles for more information. If you have any questions about community service opportunities or other ways to serve, please contact me. I look forward to hearing from you.